Do you think that once there was a ship of almost half kilometer long? 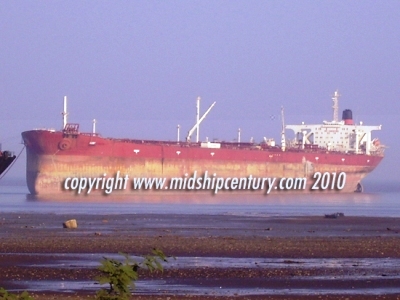 Knock Nevis is the supertanker I’m talking about. This sea giant is so large that four football (soccer) fields could be laid end to end on her deck. It takes 5.5 miles to stop with a turning circle of over 2 miles. She is of 458.45 meters in length from tip to tip (LOA). That surpasses the height of Empire State Building in New York City (443 meters high), and Petronas Towers in Kuala Lumpur (424 meters high). The vessel has a beam of 68.8 meters, approximately the width of a football field. She sits 24.6 meters in the water when fully loaded, which makes it impossible for her to navigate even through the English Channel, let alone man-made canals at Suez and Panama. Isn’t she really large ship? Definitely, she is the longest and largest ship ever built in history. 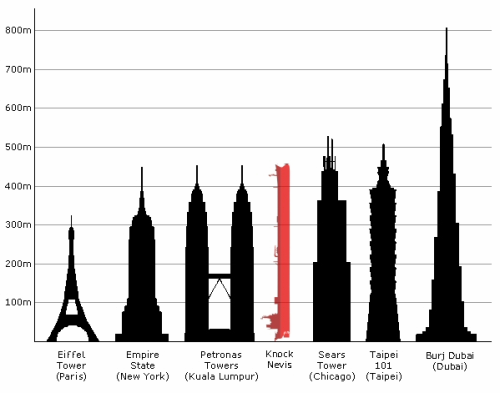 In below picture, you can visually compare between the tanker (red color) and the tallest sky scrappers in the world. 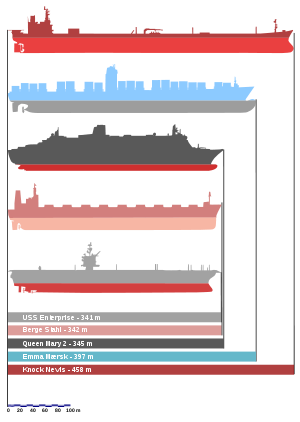 If you want to compare the Knock Nevis with other mega ships of different types (Emma Maersk, RMS Queen Mary 2, MS Berge Stahl, and USS Enterprise), here it is. 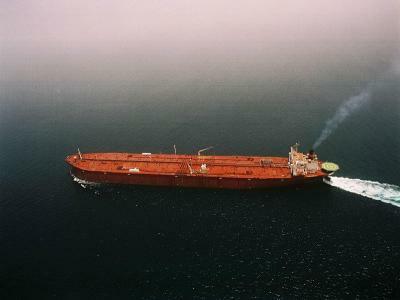 For comparison, the supertanker is 61 meter longer than Emma Maersk, the world’s largest container ship. 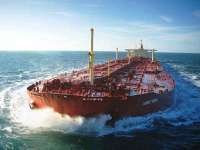 After demolition of Mont, the title of the world’s largest ship will pass to other vessels, possibly the supertanker TI Asia and her sisters TI Europa, TI Oceania & TI Africa. Still, remaining of the legacy: its refurbished anchor placed in Hong Kong Maritime Museum. 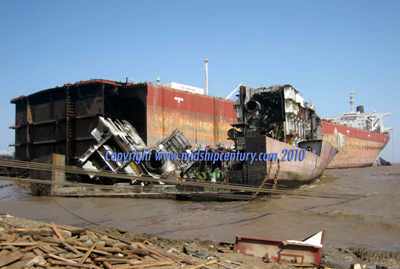 We all know ships are built, operated, and finally scrapped. Yet, seeing such a superlative structure like Nock Nevis (Mont) being destroyed, I feel sorry for her. Do you? It's so sad she was scrapped :( I wish I could have been able to just see her in person just once. RIP Nock Nevis!